EHA » EHA featuring expertise in national hydrogen infrastructure development. The EHA has been collaborating with its 21 national member associations to communicate relevant EU and project results to key stakeholders at national and local level. Over 300 companies active in hydrogen fuel cell development are represented by the EHA national associations. As an associate partner of the European Association for the Storage of Energy, EASE , EHA industry members have contributed relevant hydrogen storage information to the EU Roadmap for Energy Storage Technologies that EASE is developing collaboration with ERA and the Commission to map the technology development needs that could be included in future EU work programs. The EHA is also activating its national members to get in touch with their transport ministries to collect the responses of national governments to the EU Clean Power for Transport package that was presented last January. 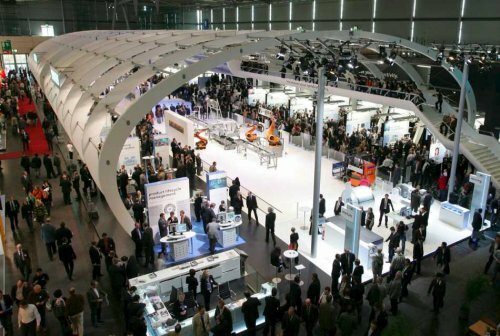 HyER will highlight the expertise represented in its 21 national member organisations at the Hannover Messe at stand E67, Hall 27 at the H2 and FC Group Exhibit from April 8 -11, 2013, that is focussing on hydrogen’s role in renewable energy storage. Over 130 exhibitors of 20 countries are expected this year. The Hannover Fair last year attracted more than 180.000 visitors of 90 countries in five days. EHA national member associations are encouraged to take advantage of the EHA presence at Hannover and to contact the EHA office for possibilities to present their activities and developments in their country.